Are you worried about your finances? There are ways to earn while you learn without boycotting school. You will find some options in this post. It is not bad if you can start making at least N 5, 000 every week from the internet. That make N 20, 000 in a month. This is just the least. I believe that would help you a great deal. 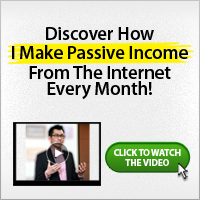 It will also provide you an opportunity to learn more and do more regarding making money from the internet. If you keep at it, you would find that before you graduate, you would have had so many success stories which you can build on later. Please note, what you will find here are just introductions. The truth is, you can’t learn everything in one post or one day. If you got that covered, ok then… so let’s get started… These are few ways to make real money online as an undergraduate in Nigeria. Look for or spot a need in your school or think up a great idea that people will gladly give money for. After you do that, set up a business to fill that need. You can do this alone or involve your friends who are also business minded. Please note, what you are going to start must be something hot in your school or hot on the internet. By hot, I mean what students, lecturers and people are in need of. Search through legit sites/blogs that helps you find online jobs/projects that pays well and have a good record of customers satisfaction. You can also search through tons of sites that offers you money for online project works which matches students with small companies and individuals who need short-term or project work done. Find people or companies that are looking for a market in your school. You can also look for people or companies that are interested in hiring online promoters/marketers. It is advisable that you look for people/companies related to what you are studying in school or what you love doing. This you can do on shift basis. You need to be able to market such the company or individuals in your school and get paid doing that. In the days where social media has become a MUST to have, you can be the one to lead social media campaigns for your campus. You would be the one to manage your school’s social media presence on social media sites like Facebook, Twitter, LinkedIn. You would be helping your school to get more students interested in studying in your school. To get this started, you would need to write a powerful proposal detailing what you would be doing and then submit it to your school’s non-academic affairs office. You would need constant follow up so as to secure this for yourself. The truth is, for a start, you can make enough to pay for your living costs and tuition fees, have some money to assist your parents and also have fun with (if you are not greedy). You would be making cool income as your time rolls by. This you can also develop more on and make more money doing. And this depends on the skill, time, money you put in. As a student, you can’t use all of you time to do much. You can dedicated two hours a day to the business. It’s also difficult to come up with a great idea, and tricky to get a start-up off the ground. You’ll need to submit yourself to constant learning and growth. Also, you would have to limit the time you waste doing things that would help you in the now and in the future. This would cause to minimize the time you spend clubbing. You would need time to make it with online business. This you don’t have to waste. Entrepreneurship. Accounting. confidence. communication. Negotiation. Interacting effectively with clients. A good record of effective work done in the past. Marketing ability. customer service and organizational know-how. Teaching experience. Reliability. Responsibility. Organizational skills. Managerial skills. At this point, you need to set yourself ready to start doing what you have read above. All these will be like film trick if you don’t act upon them. Success is an ACTION movie and not a documentary. You want to succeed online, act more on what you read from real people like me. I’m willing to help when you need help. I appreciate this article…..you are great!, am new to blogging still looking for a way to drive traffic to my blog. All the same this was nice thanks. american call centers here in India. But now I am looking for a career change , planing to get into writing, blogging, but I have never written anything or so, I first need to find a source , an avenue which would help me earn my bread, butter, also help me build a portfolio for long term career in writing, blogging, online business;I am confused , how to do that, any ideas, suggestions, guidance. i have read your blog pls can u send me some website of companies that i can work for online. well, I am looking for any fresher, content writing, forum posting kind of jobs.